Let's dive into the answers to some of the most frequently asked questions. If there is anything you can't find an answer to, please contact us as other people may be wondering the same thing and we want to make everything as easy as possible for everyone. You can send us an email by using our Contact Form now. For most services we'll be in touch fairly quickly with our proposal. For window cleaning quotes, the next step (if you want be super organised and ready) is to check out our WINFO. You'll find most types of windows and a guide to how to count them up. When we're on the phone we can go over all aspects of the job before delivering our proposal to you via email. We are insured for public liability with Berkley and our certificate of cover is attached to every proposal. 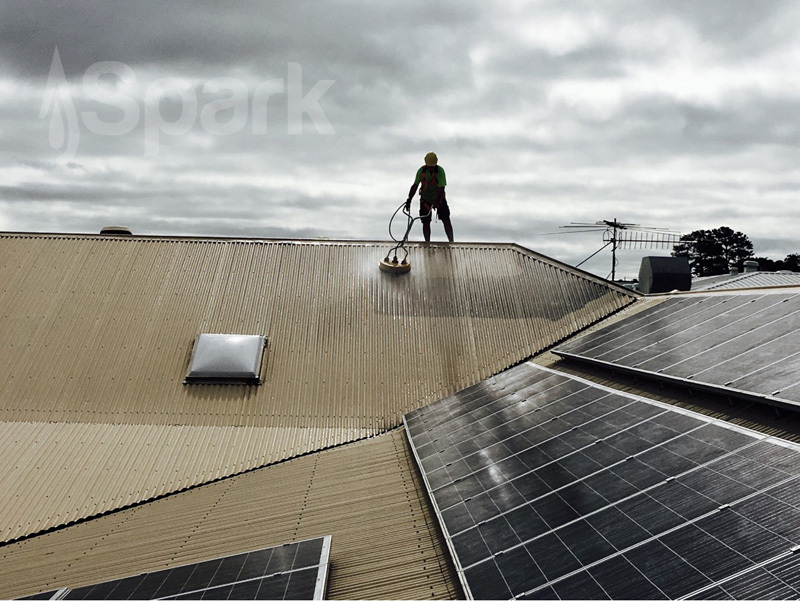 Can Spark work on a roofs? Sometimes the tasks we are required to do involve accessing rooftops or other areas where a fall from height could occur. 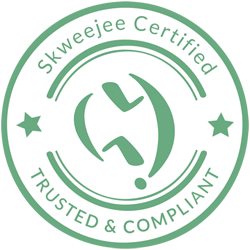 We are trained and certified to Work Safely at Heights and our certificate is attached to every proposal. 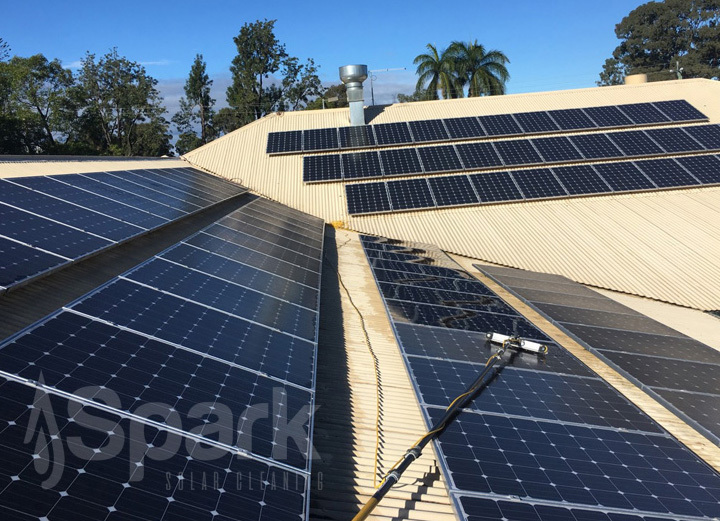 Can Spark use access equipment? 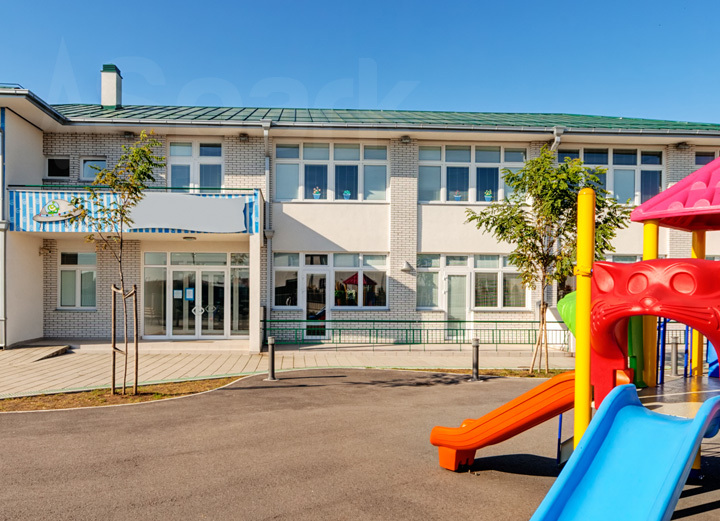 If your property is bigger than 2 or 3 storeys, depending on the cleaning services required we may need to use access equipment such as boom or scissor lifts. There is always at least one person on staff that holds a High Risk Work License to use such equipment to any height. Like booking a flight or tickets to a concert we take a booking deposit. The difference is ours is fully refundable up to 10am the day before the service. We do this to ensure we have sufficient time, should you need to postpone, to schedule in other work for ourselves and our staff. How can I work out what windows I have? We've dedicated a whole page to window types and how to count the panels, tracks and screens. Check out WINFO now. If you know you have leaky windows, yes it'd be great if you could be there to keep an eye on them, however most of the time we're fine to work around your house without anybody home. 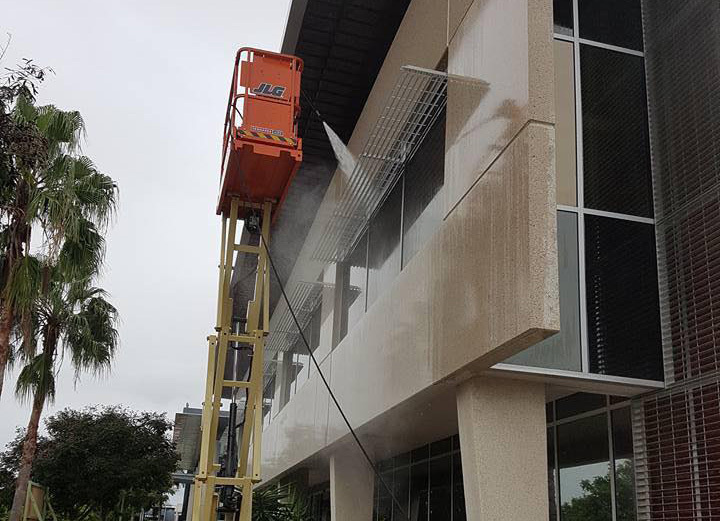 We're insured with $10M Public Liability and have been working inside people's homes since 2008 when we had our Brisbane based window cleaning business. What do I do if I have leaky windows? We'd appreciate it if you could advise us of any leaky windows and where they are. That way when we are house washing we can take extra special care around them. We would also suggest you consider either chocking them with old towels or taping up exposed grills in certain bathroom windows. Does Spark use high pressure for house washing? We use a combination of high pressure machines and special 12V Soft Washing pump systems. 90% of house washing is done at low pressure as high pressure can damage paint work, timber, render and more. We use it occasionally on exposed brick and flat surfaces however our Soft Washing method is how we most often clean house exteriors. 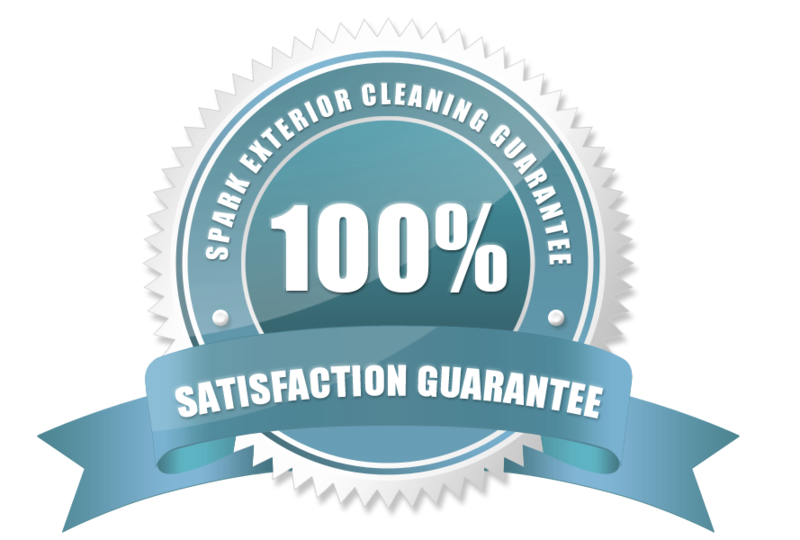 When performing an exterior home cleaning service, the application of our special formulated detergent is what does most of the hard work, removing dirt and grime as well as cobwebs and more. We finish with a low pressure rinse to leave your home sparkling. How can I prepare for a house wash? Before the Spark Team arrives for your scheduled service, there are a couple of things you can do to help make sure everything runs smoothly. If you are on a small / tight block, maybe let your neighbours know about our appointment. They might like to do their washing on a different day also. How can I prepare for a window clean? The first thing to do when preparing for a window clean is to ensure you have read the email that came with your proposal. On the day of our arrival you can help us by raising any blinds with cords. Other than that, we should be capable of moving the odd bit of furniture and bits and bobs here and there. I would also remind you that our services are not often compatible with others. Arrange services like lawn maintenance for a different day if possible. 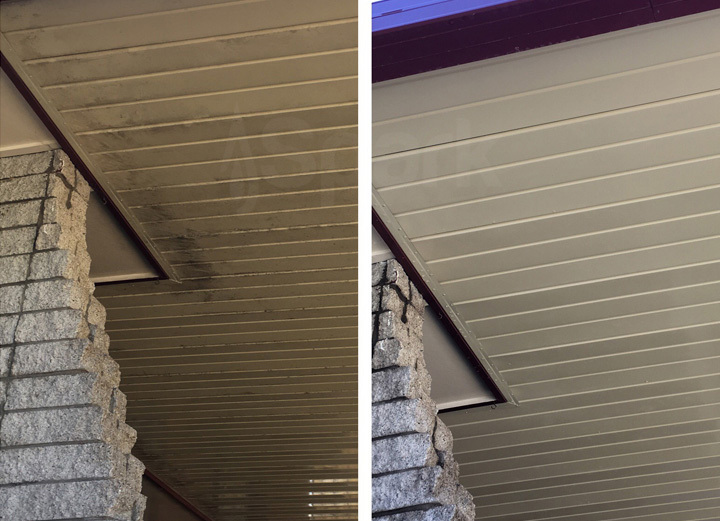 When we clean the exterior windows and use our purified water, it will take a little time to dry. The last thing you want is dust and cut grass sticking to newly cleaned glass that is still drying. Is your solution eco friendly? Honesty is one of the core foundations upon which we have built our business, and such are happy to explain what we use and why. 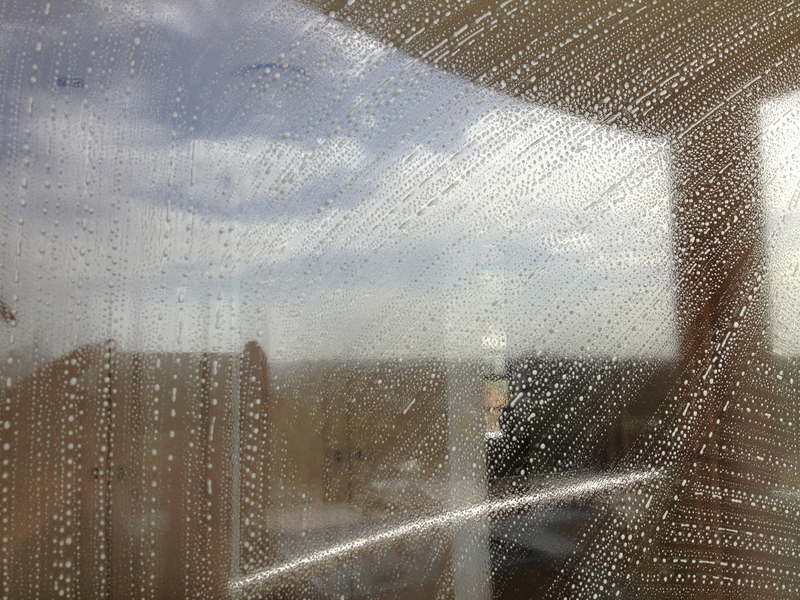 For window cleaning we use a couple of different detergents depending on the level of dirt we need to clean. Our standard solution is salt and water that is converted into a powerful cleaning solution using an electrical charge. We then add a really mild surfactant to help our squeegees glide over the glass. Read more about NueClean. For house washing we like to keep some of the detergent recipe a secret, however the main active ingredient for which some people may have concerns we like to discuss openly. We use a proprietary house washing solution that contains approximately 1% sodium hypochlorite along with surfactants to aid in the cleaning process. Sodium hypochlorite, also known as the active ingredient in liquid chlorine, is an extremely reactive substance, and in the ratios used in our formula will become inert before entering the environment. Yes, if you pour it neat on your lawn it will most definitely kill the grass, however using low ratios, and taking the precautions we do when wetting vegetation nearby we've never had any issues. It is not bioaccumulative and does not remain in the environment. Aside from the obvious risk of exposure to the eyes, there are no expected adverse effects from a health perspective. It is a substance regularly added to pools and drinking water and we would not use it if there were long term effects on our health or that of our customers, their pets and homes. I already have a window cleaner, what should I get done first? Definitely have your house washed first.